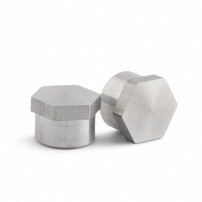 If you own a Tom Kuhn No Jive you're in luck because you can replace the Nuts as many times as you want thanks to this Kit now. 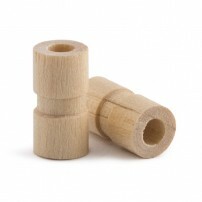 Tom Kuhn Wooden Axle 2 pcs. Play again with your Tom Kuhn Yo-Yos as the first day replacing the original wooden axle with this Kit. Tom Kuhn Turbo Disc 8 pcs. 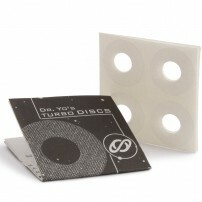 Renew your response system for your Tom Kuhn Yo-Yos with these genuine Dr.Yo's Turbo Discs.